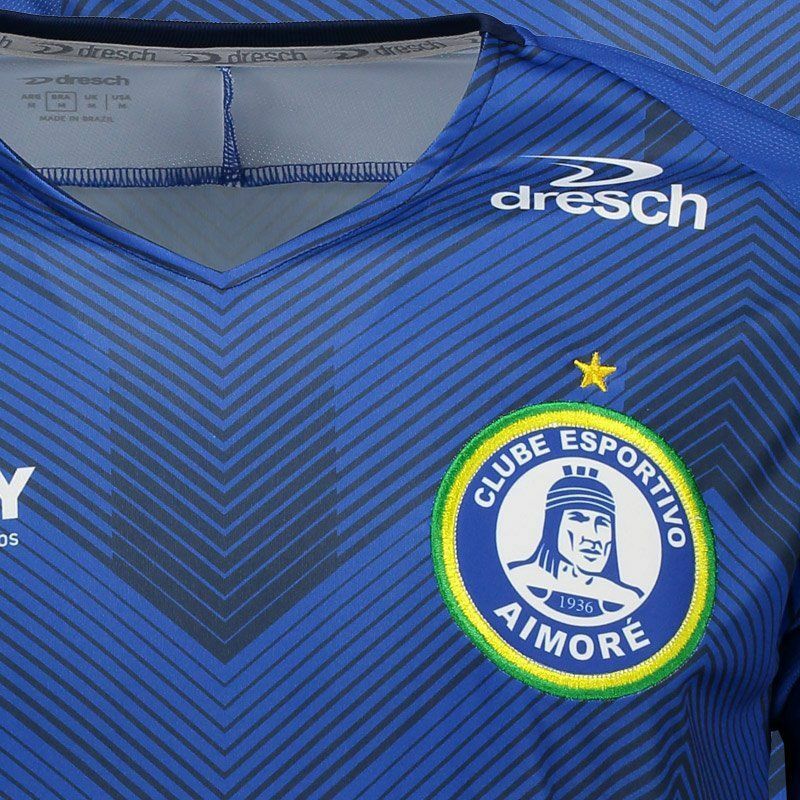 Made by Dresch, the Aimoré Home 2018 Jersey is ideal for the fans. 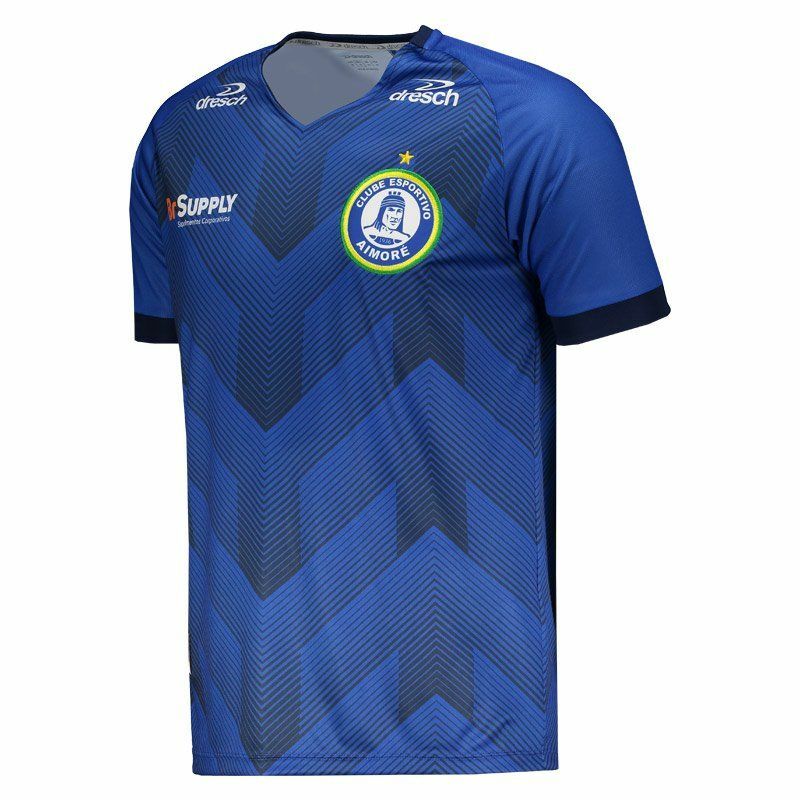 The piece is made of durable polyester and has design predominantly royal blue with a print in black color, which refers to the indigenous culture. It offers name and number customization. More info. 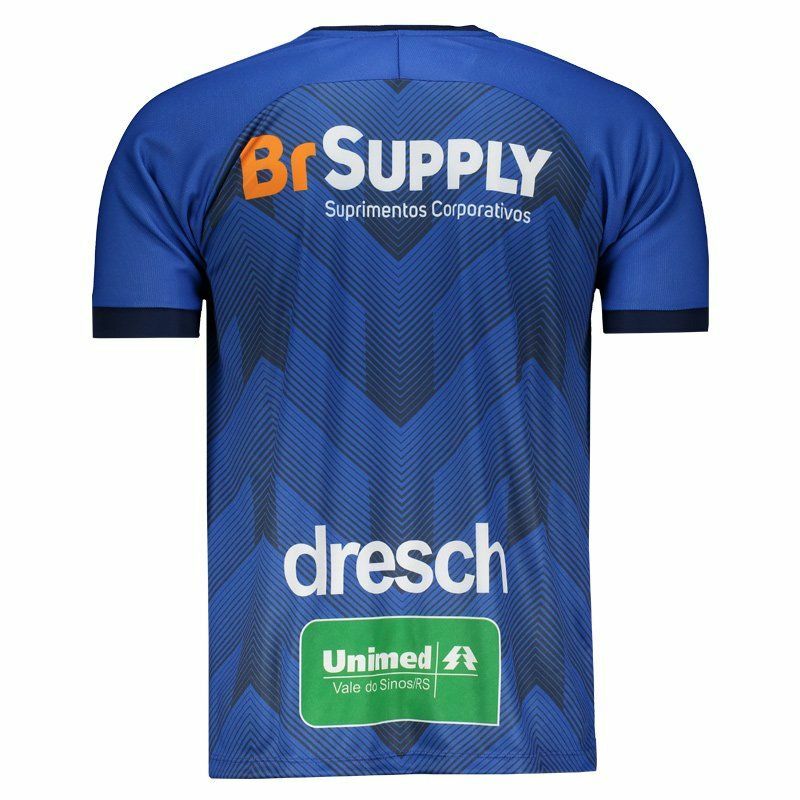 Produced by Dresch, the Aimoré Home 2018 Jersey is a great choice for fans of the team to use in games and day to day. The piece is made of durable polyester and has design predominantly royal blue with a print in black color, which refers to the indigenous culture, bringing zigzags, along vertical stripes. 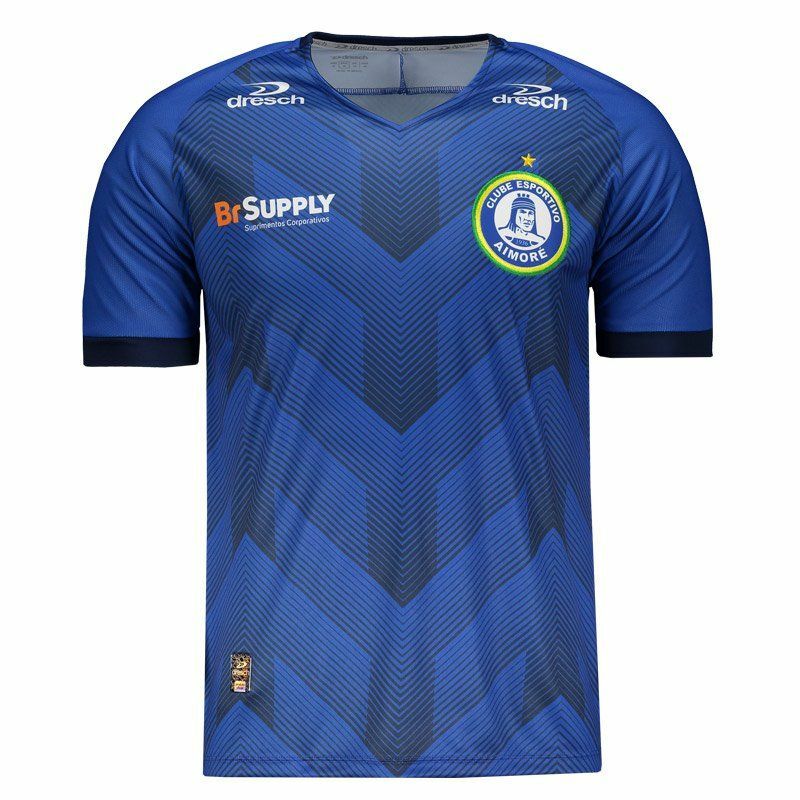 There is also the embroidered badge on the chest, logo of the brand and sponsorship. Finally, the collar is V and the short sleeves have a fluted finish on the cuff. Get it now!